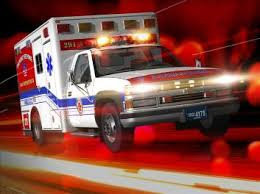 CHIPPEWA COUNTY, MI-- An Ohio man was seriously injured in a snowmobile accident in Chippewa County on Friday. Sheriff’s deputies say it happened around 3:30 p.m. on Trail #8 just east of Salt Point Road. Investigation revealed the driver lost control of the snowmobile. It left the trail and drove into deep, powder-like snow, then was pulled into some trees. The driver was taken to War Memorial Hospital by Bay Mills EMS. He was later transferred to a hospital downstate with life-threatening injuries. The Chippewa County Sheriff’s Office is reminding snowmobilers to slow down and enjoy the ride.